Skinnfell Seat, Chair or Couch cushion made in the traditional Norwegian craft known as Skinnfell. 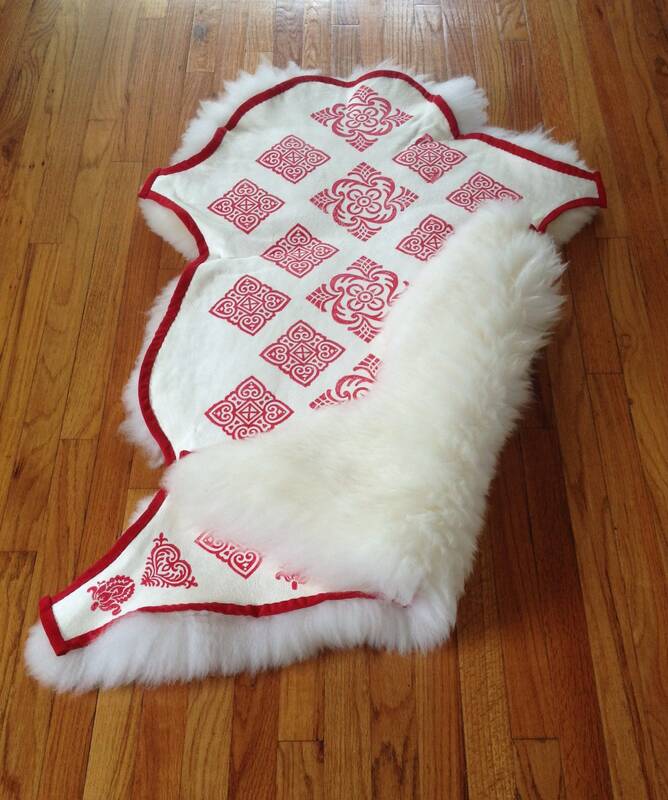 It has been handcrafted using a high quality sheepskin. 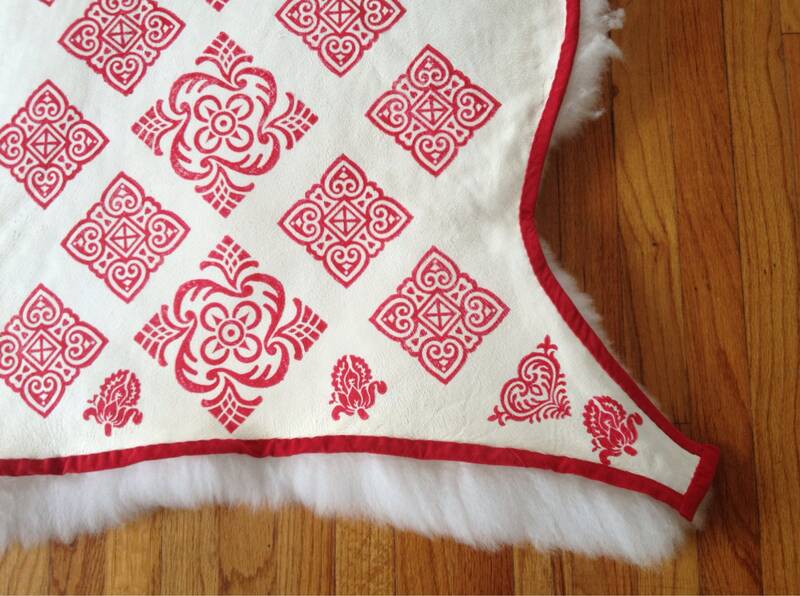 The pelt has been decorated with traditional Norwegian wood blocks using water based non-toxic ink. 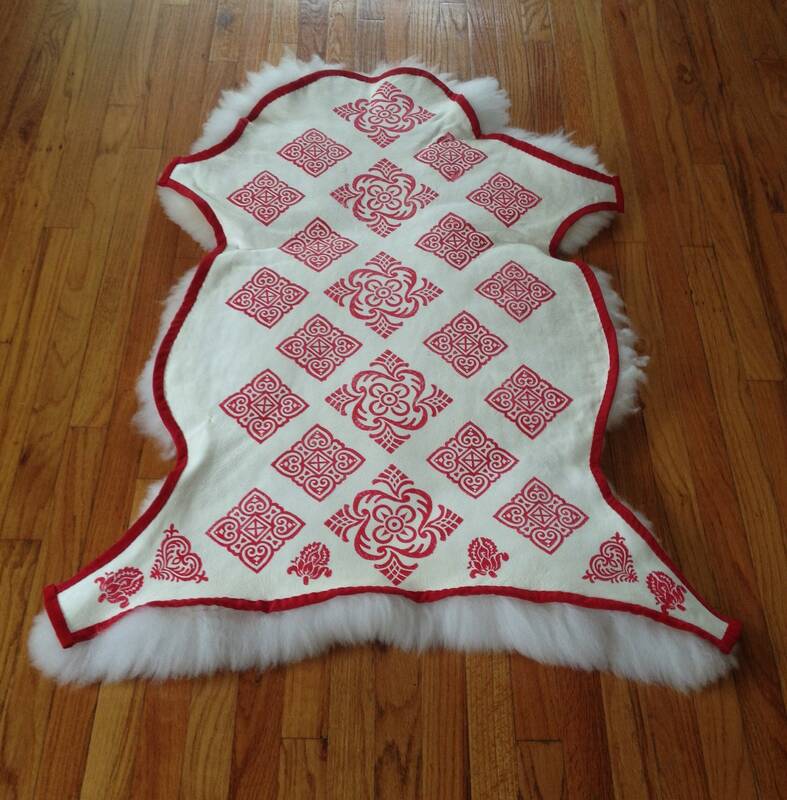 The outside perimeter of the entire piece has been finished by hand sewing a suede trim color coordinated with the wood block print. 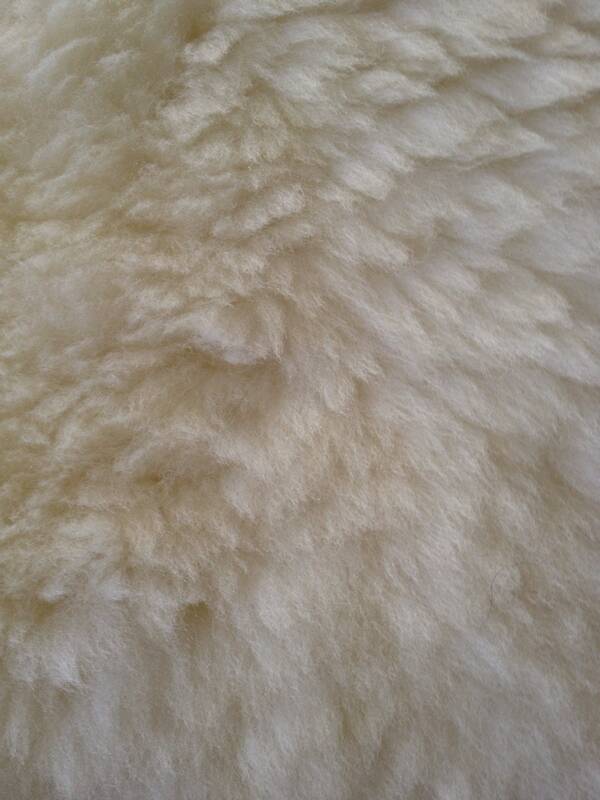 The lockes of this pelt is soft, dense, super cushy with a creamy white color. 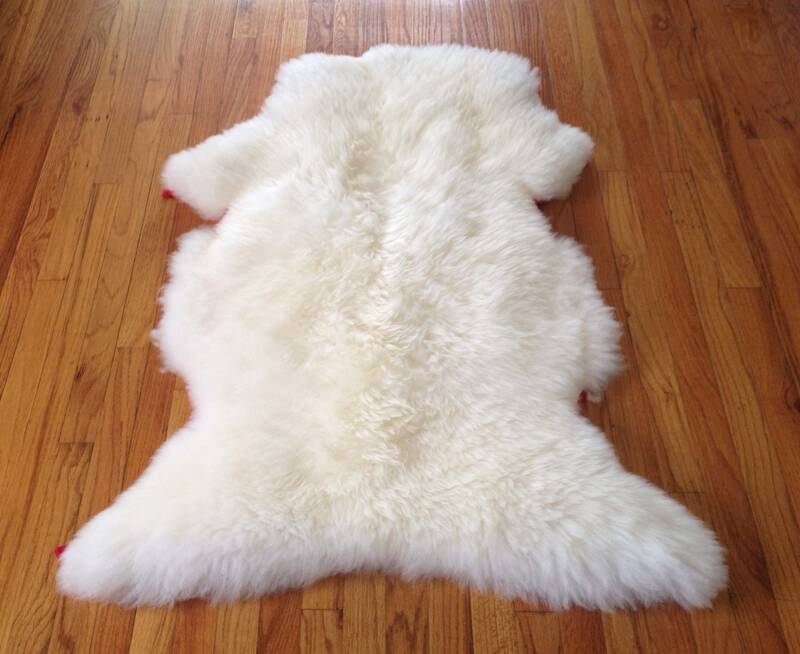 The shape of the sheepskin was kept natural with no cutting or trimming. 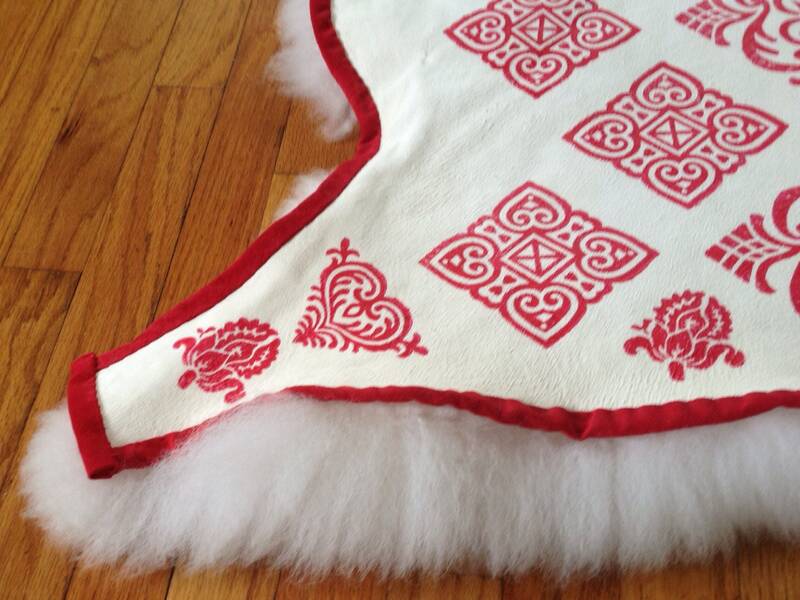 Dimensions of the item is 46.5 inches in Length and 35 inches in Width. This item is washable with care using a good quality wool wash - Washing instructions will be provided with purchase. Shipping options available - please email for additional information and/or pictures. *Please do not use or copy photos of any items listed in my shop without my permission of knowledge - Please just email to discuss use and no doubt we can come to some mutual agreement. Many thanks! Accepted payments include PayPal or Etsy. Please email with questions or concerns regarding refunds or returns. Refunds or exchanges will not apply to Custom or Special orders. Custom or Special orders can be discussed via Etsy email, however refunds or exchanges will not apply to Custom or Special orders.